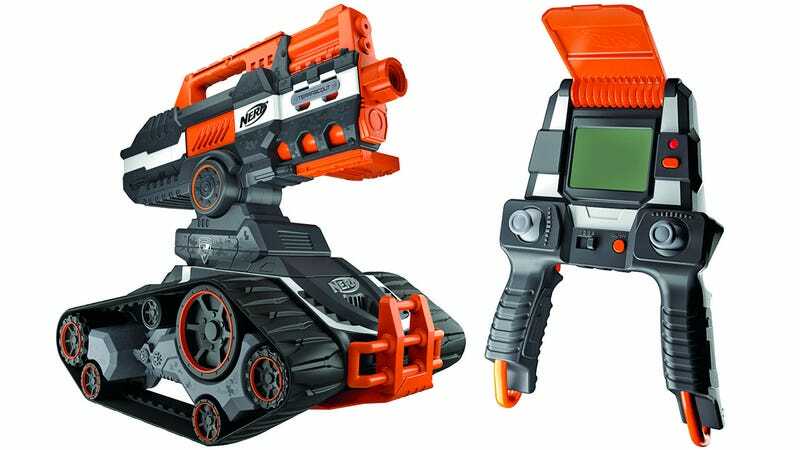 Nerf’s new N-Strike Elite Terrascout RC Drone looks like something Skynet cooked up to fight alongside the Terminators. But using a wireless remote with a live video feed from the tank’s camera, anyone can use it snipe at friends and co-workers while remaining safely out of range of retaliatory fire. Powered by a rechargeable battery in the tank, and four AAs in the wireless controller, the Terrascout’s treads can clamber over almost any terrain—as long as it’s not wet—and remotely fire off a round of darts from its 18-shot magazine. The Terrascout’s blaster can be aimed independently of the direction the drone is driving and footage from its 720P HD camera can even be recorded on an SD card, letting you document your attack. You’ll have to wait until the Fall to add this to your arsenal, and with a $200 price tag, you’re better off throwing this one on your Christmas wish list.